The Presbyterian Church in America was constituted in 1973 as a denomination “faithful to the Scriptures, true to the reformed faith, and obedient to the Great Commission.” Its churches separated from the Presbyterian Church in the United States (Southern) in opposition to the long-developing theological liberalism which denied the deity of Jesus Christ and the inerrancy and authority of Scripture. In 1975 the first Spartanburg PCA group began as a Bible study that met at the YMCA under the auspices of Calvary Presbytery (now subdivided into Calvary, Palmetto, and Fellowship). Sunday worship services began in January, 1976, in the YMCA chapel . A large house at 1814 East Main Street—moved in 1990 to a lot on Bellwood Avenue—was leased and renovated beginning that June. Rev. Grady Love accepted a call from the presbytery to become the Organizing Pastor, and the Love family moved to Spartanburg from Abbeville in 1977. Providence was organized as a “Particular Church” in August of 1977 and bought property on Fernwood-Glendale Road in 1978. The young church was able to eliminate that debt and at the same time received the remaining members and funds of Clifton Presbyterian Church, which was about to be dissolved by the PCUS. 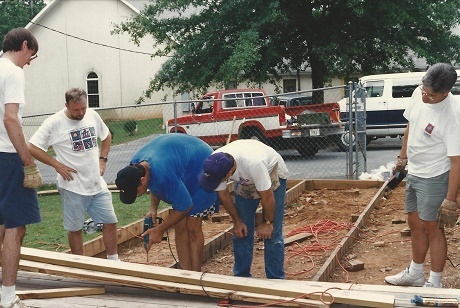 Providence broke ground in January of 1980 and dedicated its first church building that August. In early 1984 Providence bought the house next door, naming it “The Annex” and renovating it several times over the ensuing years to meet changing needs. Rev. Love announced his departure for Smyrna PCA in late 1986. A year later the Pulpit Committee met Dr. Daniel Coleman in Orlando, Florida, where he had been pastoring a Bible church. He visited in December, and Providence voted unanimously to issue him a call. The Coleman family moved to Spartanburg in February, 1988. The Session challenged the congregation to pay off all debt in 1989 prior to beginning a new sanctuary/educational addition in 1990. With systematic Bible teaching, continuity of leadership, and careful training of children, Providence maintains a transgenerational and Reformed witness in Spartanburg and the Upstate.